Our next stop on the great Brooklyn Beer Book tour was The Bedford, a lovely bar on, of course, Bedford Ave. near the Williamsburg/Greenpoint border. There are two different bars and seating areas, but we chose to sit up front at the bar as it was still high brunch-time (brunch is a very serious endeavor here, table space cannot be wasted). I always enjoy going to the Bedford, the front room is sunny and spacious, but even if it gets a bit loud never feels to crowded. I did not try one of the hamburgers, but they look excellent. Their prices are on par with other bars/restaurants in the area. They are by no means a cheap dive, but are quite reasonably priced for the location. Fun fact, The Bedford actually was once the location of Sound Fix, an indie record store (now located a few blocks away). Musicians would often stop in and even play sets for people. Joe actually saw John Darnielle of the Mountain Goats play a set. 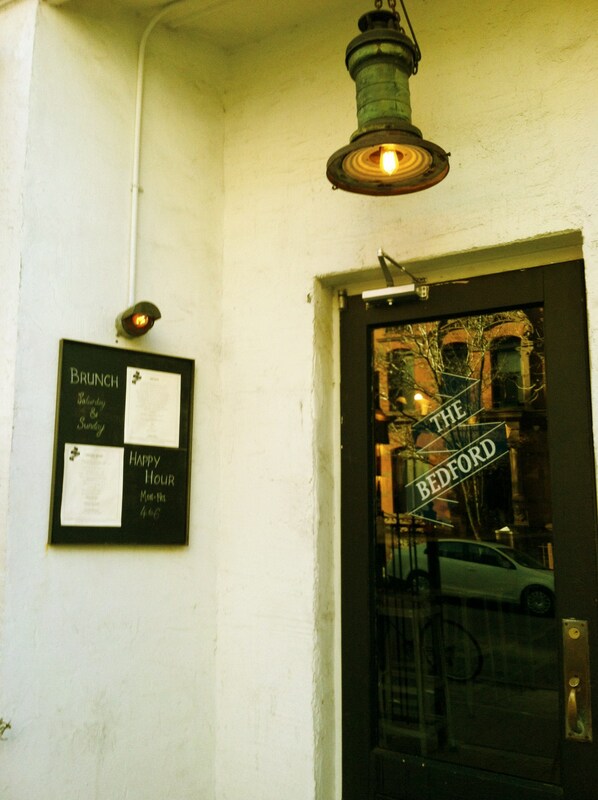 If you find yourself wandering down Bedford Ave. in search of a snack, brunch, or even just a drink, I highly recommend popping into The Bedford. Then wander deeper into Williamsburg to check out Sound Fix and other great indie stores.